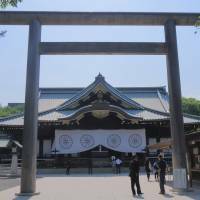 Prime Minister Shinzo Abe sent a ritual offering Tuesday to the war-linked Yasukuni Shrine, which has been a source of friction with Japan’s neighbors that suffered from its wartime militarism. But Abe is likely to refrain from visiting the shrine in Tokyo during its four-day autumn festival starting the same day, apparently in consideration of China and South Korea at a time when Tokyo needs their cooperation in countering the nuclear and missile threats from North Korea. Abe made the masakaki tree offering under his own name, the shrine said. The tree is traditionally used in Shinto rituals and the move is seen by some as an appeal to his conservative supporters. Abe, who also heads the Liberal Democratic Party, left Tokyo in the morning for Akita and Yamagata prefectures to deliver stump speeches ahead of the Sunday’s Lower House election. Among his Cabinet members and senior lawmakers, Health, Labor and Welfare Minister Katsunobu Kato, Upper House President Chuichi Date and Toshiei Mizuochi, senior vice education minister and head of the Japan War-Bereaved Families Association, also made ritual offerings. 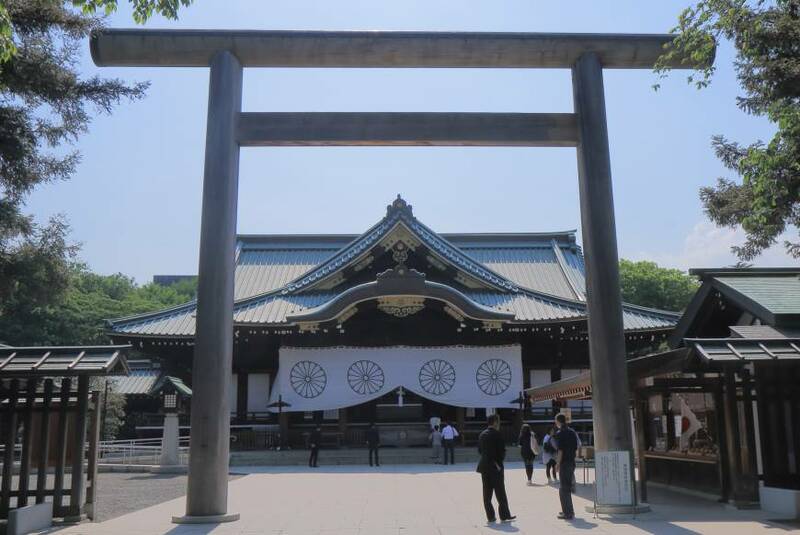 The shrine is viewed by Japan’s neighbors as a symbol of its past militarism as it honors convicted World War II criminals along with the war dead. Abe regularly sends ritual offerings to the shrine during its spring and autumn festivals. He last visited the shrine in December 2013, triggering fierce protests from China and South Korea, and prompting the United States, Japan’s main ally, to express disappointment. Since 2013, Abe has also been making ritual donations to the shrine every Aug. 15, the anniversary of Japan’s surrender in World War II.